For more information, please see the manufacturer website. 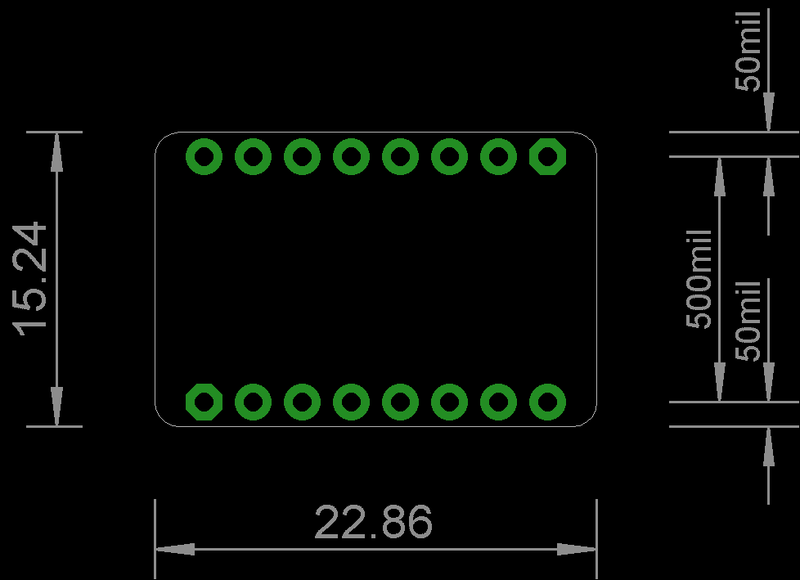 By cutting and connecting A0 and A1 jumper pad on the back of the breakout board, you can change I2C address. A0 is connected to VDD, A1 is connected to VSS at the initial setting, and the address is 0x98(1001 100X). Please refer to the IC data sheet regarding other settings. By soldering the 1608 size resistor chip to the R3 and R4 on the back of the board, you can pull-up the I2C signal line with supply voltage (3V3 terminal). R3 pulls-up SDA, R4 pulls-up SCL. Please acquire separately the pull-up resistor (size 1608) and solder it as needed. As the distance between the resistor and the header is quite short, it is easier to mount the resistor first.